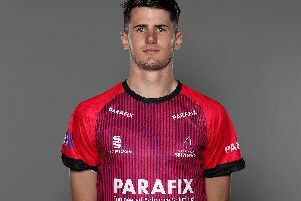 Sussex’s Jofra Archer and Luke Wright will play in this year’s Bangladesh Premier League, the fifth edition of the T20 competition. Archer was a second round pick for the Khulna Titans in Saturday’s draft, whilst Wright signed for the Rajshahi Kings back in July. The 2017 Bangladesh Premier League will take place between November 2 and December 10. Wright will join Sussex’s former overseas player, Mustafizur Rahman at the Kings.